"...I'd rather do without prediction." 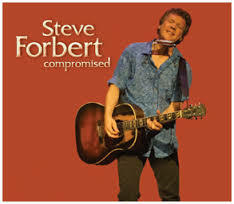 With 16 albums now under his belt, all sorely under-appreciated, Steve Forbert has taken us from "Alive On Arrival" (1978) to "Compromised." (2015) So, has he? Compromised, I mean? Steve Forbert is a little older, obviously. Wiser, well probably. He continues to wear his heart on his sleeve, but he keeps his arms a little closer to his vest. And, I suspect, he's not near as "careless in his way"... not in the way that youth allows. But he continues to write with a painter's eye. And he lets us ride shotgun while he discovers his lot. So...compromised? I guess so. But fearless? Hell yeah! Casey Chambers: Steve, I'm really excited about the release of your 16th studio album..."Compromised." It's good to know you're still..."howling out words and banging out chords." Steve Forbert: Right. Right. Right. I'm with you. (laughs) Yes, this is the 16th album, that is true. But who's counting? Casey Chambers: One of the songs, I especially enjoy from the album is..."You'd See The Things That I See." And you made a video for that song, as well. Steve Forbert: Well, thank you. In a manner of speaking. We assembled some photographs. And some of them, we were the first people to be shown. There were like two photos discovered from the actual day when John met Paul...and one of them actually shows John Lennon in a parade. Steve Forbert: Yeah. It was nice to visit Mendips. The famous boyhood home of John Lennon. Yeah, it was terrific. Casey Chambers: When were you over there? Steve Forbert: To my shock, it was 2010. It's been five years. It doesn't seem right, but I think that's right. Casey Chambers: How did this particular song come together? Were you writing it while you were over there? Steve Forbert: Yeah, I was working on something else, but this was so impressive that I began to think about what might have gone through John's mind when he got back home and started thinking about it. 'What on earth should I do about this hot new kid I just met? Should I ask him to join the group? What's that going to be like? And it's my group.' It's just the little thoughts that go through his mind. Would he feel threatened or would he feel...y'know...obviously what he decided was to forget feeling threatened and go with a winner. Casey Chambers: Yeah, the what-ifs. Very cool. Going back a few years, and this is going back to your 5th album, "Streets Of This Town" (1988) is the song "I Blinked Once." Do you still play this one in concert? Steve Forbert: Yeah, yeah. I play it occasionally. I had a good version of it in Belfast about a month ago. Someone requested it over and over again and I decided to play it. Casey Chambers: It's a song that reminds us of how fleeting time can be. And one you wrote nearly 30 years ago. Are you ever struck by that fact? 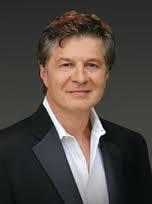 Steve Forbert: Well, of course as you know, the song ultimately deals with what we call mortality. So, perhaps it's a little more poignant to me...a little later in life. But I sing it, if someone wants to hear it. I take requests in my shows all the time. It's part of the fun of it. Casey Chambers: The show "Fridays" was always considered the step-child of SNL. But they always pulled in some good musical guests. And I saw you perform one of my favorites..."Get Well Soon" on an episode. What do you remember about that? Steve Forbert: Well, it was in Los Angeles. We were on tour. It was live. It was during the week John Lennon was shot so everybody's thoughts were on that. And y'know...it was a little more of a challenge to go on there and sing when you knew that everybody was in sort of a state of shock. So that's kind of what I remember about it. But we were set to play and we showed up and did the show. Casey Chambers: And it was a good performance. Even just now learning the backstory, the crowd still appeared to be into it. Steve Forbert: Yeah, well maybe they just wanted to be jolted out of it. We just tried to penetrate the mood and do a good performance. Casey Chambers: That would have been a tough week. Nicely done. Jumping back to the new stuff, the title track..."Compromised"...which opens your album sounds like classic Little Stevie. Really good stuff. How did this song come together? Steve Forbert: The idea for that song was started a couple years ago during one of those times when they...Congress was about to shut down. They were at a stand-still and about to cut the lights out and all that. But that was all just sort of processed through my filters...and became a song that sounds almost like a regular interpersonal...a love song. But that's what triggered it. And it came out sounding pretty meat and potatoes for what I do. So we put it first on the record so it would open up with something that was...y'know...not a curveball in any way. We're fixing to put up a solo version of it today on my website. Steve Forbert: Well, the ones you're talking about, the way they cut those songs in...it's pretty brief. It's not a life changing experience. I'm glad they used those songs. And in Richard Linklater's next movie, "Everybody Wants Some"...I think it's true to say..."Romeo's Tune" is gonna be used again. Casey Chambers: Yeah! Meet me in the middle of the movie line. Well, "Romeo's Tune" is your signature song. Steve Forbert: Yeah, that's my "Year Of The Cat." (laughs). Casey Chambers: One of the great things about that song is the catchy piano melody. Just brilliant. Did you know from the get go the piano was going to be such an important part to the song? Steve Forbert: Oh yeah. Yeah, that was part of the song when I wrote it. We had a guy named Bobby Ogdin play it at the session in Nashville. And he really brought it to life. He's a well known Nashville recording piano player and he was right at his peak at that time. He made that...y'know...I showed him the figure and he played it with a wonderful voicing. Of course, I'm really glad it's standing the test of time. Steve Forbert: Well, I was surprised. And it cost us some time because we had to do an edit and take the 'S' word and just change it to the word...'it'. And by the time we had done that, I think we had lost some momentum. It cost us some valuable time, that word. Yeah, I was a little surprised they wanted to make it the second single. But yep, that's the way it went. Casey Chambers: Were you leaning towards another song? Steve Forbert: I was probably leaning more toward..."The Sweet Love That You Give (Sure Goes A Long Long Way)." Casey Chambers: A great song, too. A runaway train. Casey Chambers: Steve, what are a couple of your favorite albums? 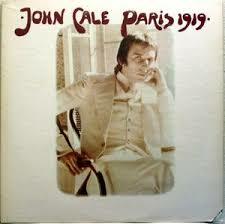 Casey Chambers: Didn't you have an opportunity to work with John Cale while you were in New York? 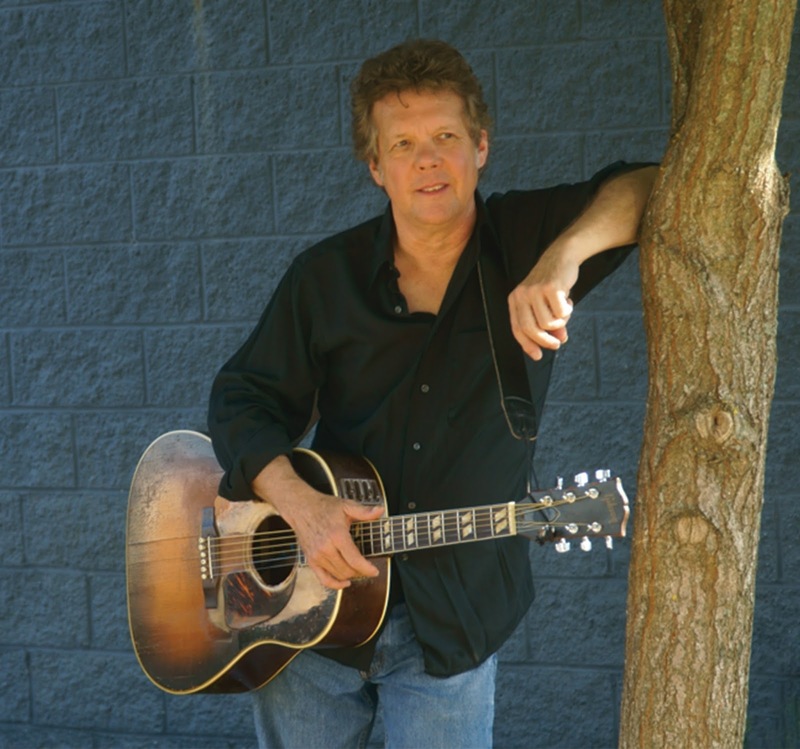 Steve Forbert: I opened some shows for him over a weekend at CBGBs. And it was really...important to me, since he had made one of my favorite albums. Casey Chambers: That's a nice memory-keeper. I hear you're going to be coming out with a book. What set the wheels in motion for this project? Steve Forbert: Let me see. Well, somebody was wanting to put out a book of a lot of memorabilia things. Photographs and backstage passes. All that kind of stuff. And I said to that book publisher that I'd like to do a better book than that. Better than just some sort of a coffee table picture book. Y'know, I'm not Rod Stewart. I don't think such a book would really sell many copies. Let me write a real book. More of a memoir. So that's how it happened. And I found another publisher who's been very patient with it and very helpful. So it's coming along pretty good. It'll be out sometime next year. Casey Chambers: I'm looking forward to picking it up. Casey Chambers: You've probably been asked this a thousand times, so I'll pose it to you a little differently. Before I let you go, how did you appear in a music video with Captain Lou Albano? Steve Forbert: Yeah, you could look at it that way. (laugh) It was Cyndi Lauper's video. They don't usually mention Captain Lou, but yeah, I think he played Cyndi Lauper's dad in that thing. Cyndi was in a group called Blue Angel. And y'know...I'm a music fan and I encountered that album and I liked it a lot. They were playing live around New Jersey and New York City, so I went to see them. I got to know her and I thought she was a real talent. At the time, she seemed like kind of a throwback to the '50s to me. The way she looked and sounded. So when she went on her own and got a record deal and was making what was called a video...it was early in the game for videos...she knew I was a fan and asked if I would do a cameo in the thing. And I said, yeah. So that's it. I guess that thing's been played half a million times. I don't know, but it's one of the most played things of all time. Casey Chambers: Oh, at least! And it's fun seeing you pop up in that video. Steve, I'm gonna let you head on down the Jersey highway. I want to thank you for taking the time to hangout. Be safe...and have a Merry Christmas. Steve Forbert: Well, you too, Casey and thanks for your interest. See you later. The Buckinghams worked AM radio like butter. They created great pop songs and captured great pop sounds. Fans were spinning 45s, drinking colas, and finding paradise by the AM radio dial. 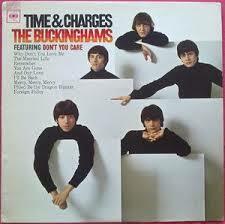 But in the late 60's, radio was starting to change and so were The Buckinghams. At least they wanted to. The band was adding more churn to their burn, keeping their garage vibe door open and slipping some light-psych in for good measure. They definitely had something going on...and their albums were all the better for it. A little more FM tasty, if you like. Unfortunately, the band found themselves pigeonholed inside an "AM Only" fence that wouldn't let them escape. Not radio stations. Not record companies. Not even many of their fans. This is no pity party, though; the boys were hugely successful. Still, too bad what we might have missed. And I mean really...too bad. There was always room for The Buckinghams on both frequencies. Seek out their albums and enjoy. Casey Chambers: I'd like to jump right in and ask about a favorite deep-track of mine, "The Time Of My Life" from The Buckinghams album..."In One Ear And Gone Tomorrow." (1968) It has a great garagey, light psych vibe and you had a hand in writing that one, right? Carl Giammarese: Oh yeah. Boy, it's been so long. I haven't really thought about that song for a long time. Or that album for that matter. 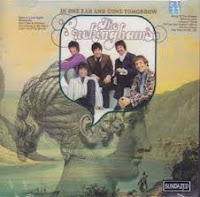 Y'know..."In One Ear And Gone Tomorrow" was the last studio album we did at Columbia Studios in New York. It was the first recording we did without our producer Jim Guercio. I think that was 1968, if I remember correctly. I was lead guitar and Marty (Grebb) played guitar also. He was kind of a multi-talented musician. His first instrument was really sax. Tenor sax. And he also was a very prolific keyboard player. His third instrument was guitar. We worked up the guitar parts and used various effects. To be honest, I can't remember what I used then. I think I was going through an old Amtec amplifier and I can't even remember what the brand of fuzz tone was. (laughs) We didn't have the array of sounds you can get today, but yeah, it was the days when we'd get together and rehearse as a band and cut basic tracks different ways in the studio. Drums, bass, piano. Or guitar, bass, and piano. There were no rules, but we'd usually start with the nucleus of drums and bass and so forth. Casey Chambers: The first song that everybody tasted from The Buckinghams..."Kind Of A Drag" (1967)...went on to become a #1 smash and, among others, is in constant radio rotaish to this day. At what point did you guys realize that song was going to change your lives? Carl Giammarese: Well, I think it crept up on us. We had been a cover band playing venues all over Chicago. Everything from The Beatles..."I Call Your Name" to James Brown's..."I'll Go Crazy." Our manager, Carl Bonafede, was bringing us into Chess Studios doing cover songs to begin with, but we had been looking for an original song to record. This was the old blues studio where some of the legends recorded like Muddy Waters, Little Walter, Howlin' Wolf, and even the Stones recorded there. Anyway, our manager connected us with a songwriter, Jim Holvay, who had a song that just didn't work for his band. Carl went over with a tape player and microphone and recorded Jim strumming his unplugged electric guitar and singing "Kind Of A Drag." He brought it back and we thought it was cool. At the time, we had been using our parent's basements to rehearse in. We were in "my" parents' basement when we worked up an arrangement for this song. Our producer, Dan Belloc, thought it would sound great with some horns. Now we weren't a horn band, really. We didn't play live with horns. But we said, 'Okay. That's cool.' So he brought in this player who came up with the horn arrangement and we thought it really sounded great. A couple of months after we recorded the song...USA Records, the label we were with in Chicago...finally released it. And it just took off overnight. By the beginning of February of 1967, it was the number one record in the country. We were just blown away, y'know? We had seen previous records we recorded...cover tunes...make it on the charts bubbling under the Top 100 in Billboard and Cashbox. But nothing really hit the charts that much. And then all of a sudden this song comes out and it kept jumping up the charts 20 points every week and pretty soon it was number one. We were absolutely blown away. Anyhow, that launched our career because all of a sudden we were a national group. Radio did everything back then. AM radio. And it just took off like wildfire. Pretty exciting. Carl Giammarese: Back in the day, Chicago stations were very supportive of local bands. If they liked the record, they would put it in their radio rotation. Which was big 'cause you'd get so many plays a day. And with a station like WLS which was the main station here in Chicago, people could hear the song from all over the country. So that was really big. I remember one time Paul Shaffer telling me when he used to live in Canada on Thunder Bay...he could pick up WLS at night. He would listen to it all the way up in Canada. And that was how he got to know our music. Casey Chambers: That's very cool. What about the little gem B side of "Kind Of A Drag." Again, it has that wonderful garagey thing happening. It was a cover of a Zombies tune, right? Carl Giammarese: Yeah. "You Make Me Feel So Good." We were all big fans of The Zombies and Colin Blunstone was one of our favorite singers. They were making great records and that was a song we were doing in our live show. Casey Chambers: No, no. I like it. 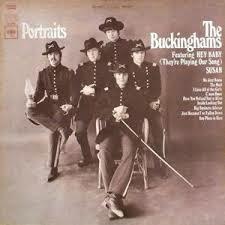 On your underrated third album, "Portraits", The Buckinghams push the needle a little more. A little heavier. A little psychy. A really good album. 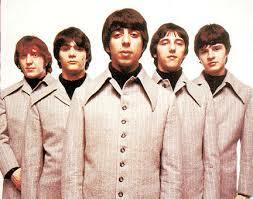 And the lead-off track..."C'mon Home" is a bit of a lost gem. Carl Giammarese: Yeah well, let me tell you, for our "Portraits" album, we decided we were going to do something that was sort of a leap to writing our own songs. Especially for Marty Grebb. He was pretty instrumental in writing most of the material on that album. We all wanted to be more involved in the writing and publishing end of the music and decided to head out to L.A. We rented a house up in the Hollywood Hills for about three months just writing and rehearsing. When we went into the studio, we were given some leeway as far as playing, creating, and doing certain things. So, it was a pretty big leap for us to do that. I think the album "Portraits" was a masterpiece of...of a concept album. And if you listen to some of the horn arrangements, and on that song in particular, it almost sounds like it could of been from the first Chicago album. 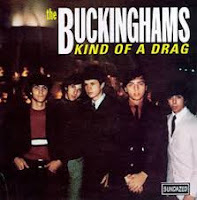 The Buckinghams were known for creating that pop-rock horn sound which had a heavy trombone influence to it. And we introduced our producer Jim Guercio to those guys and he went on to later sign the band Chicago at our insistence. He took that sound to another level with the horns but you can hear the connection. And the guitar sounds I got were from a lot of experimenting with different amps, different effects pedals and so forth. I was using Epiphone guitars. I was using a Gibson 345 Stereo. I was using some Fender Strats. And I still have a few of those guitars around. But yeah, it was an experiment for us. It was our "Sgt. Pepper" so to speak. We were disappointed to tell you the truth, because we thought that maybe the album would lift us out from the lower pop, lighter music to something a little stronger and heavier. But our audience was not really...they still wanted to hear "Kind Of A Drag" and "Don't You Care." So it was a hard transition to try to take it to that level. And the music scene was starting to change by the late '60s. It seemed like overnight we went from AM to FM within a few month period. Some of the heavier groups were coming out like Cream...Hendrix...Joplin...Santana...and the music scene was changing pretty quickly. But yeah, "C'mon Home" was a great song and we still do it live occasionally. Casey Chambers: Not being allowed to grow and rock-off into FM had to be a major drag for you guys. Screw the pun. But no denying The Buckinghams were having their "run in the sun" on the AM waves. And you had the opportunity to do the biggest show on television..."The Ed Sullivan Show." Carl Giammarese: Well, of course, Ed Sullivan was the epitome of success. If you got to perform on Ed Sullivan that was about it, y'know? There was a certain vibe and feeling knowing that The Beatles had stood on that stage and performed. I was amazed when we got to be on the same stage. And I thought the Ed Sullivan Theater was going to be bigger. (laughs) It wasn't near as big as I imagined. It was something you realized was a once in a lifetime opportunity. We were all excited and a little bit nervous, but what a great experience to play in front of a live audience on Ed's show. Casey Chambers: Which songs did you guys get to play? Carl Giammarese: We did "Susan"...and they did that weird video break during the psychedelic part. So while we're performing on stage, the video broke out of us during the psychedelic break and then came back to us again. We were one of the first bands to ever do a video. The second song we performed was "What Is Love." It was thought of possibly doing it as a single but we wound up having disagreements and fired our manager, Guercio, who had produced it. We decided to go with another song..."Back In Love Again" which was okay, but it didn't have nearly the success we had previously with the other songs like..."Kind Of A Drag," "Don't You Care," "Hey Baby (They're Playing Our Song)," "Susan," and "Mercy Mercy Mercy." But performing on Sullivan certainly helped our career a lot because we knew we were getting tremendous national exposure. 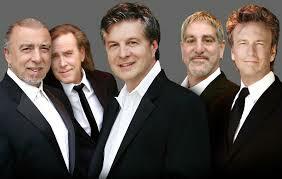 Casey Chambers: The Buckinghams also added another notch to their RnR belt performing on the "out-there" variety show..."The Smothers Brothers Comedy Hour." What was the yin-yang of doing that show? Carl Giammarese: Well, on The Smothers Brothers, we were on a sound stage and weren't really playing in front of a studio audience. It didn't give you that kind of feel. But at the time, The Smothers Brothers had the hottest show on TV. Everybody wanted to be on their show and it was exciting for us to be asked to perform on it. The funny thing about it...the producers of the show thought we were a British group. (laughs) When we came on the sound stage to do a run through, we looked around and the floor of the stage was decorated with the Union Jack and they had British Flags hanging in the background. And they just thought we were a British group. They really didn't know we were from Chicago. (laughs) I guess it's understandable, because we did have the British Carnaby Street look. The haircuts. The clothing. The name. So that's what they were thinking. Casey Chambers: Yeah, I've seen the video and wondered about that. Casey Chambers: Did you guys get that a lot back then...fans assuming you were British? Carl Giammarese: Occasionally, people would think that. You didn't have social media. You didn't have websites. Or all the various outlets for exposure, like you do today. The biggest form of exposure was getting airplay on AM radio and playing live concerts. That was about it. And the occasional TV or variety show. So people would take it for granted or just assume. We made all the teen magazines, but they didn't talk about our background as much as they should have. Who knows? But for whatever reason, yeah, there were a lot of people who thought that way. Casey Chambers: What was it like touring back then when you guys were all over the radio? Carl Giammarese: Well, it was pretty intense. In '67, we were voted "The Most Listened To Band In The Country" (Billboard) and back in those days, the girls were screaming like crazy. We'd get out on stage and these girls would go absolutely berserk and you could hardly hear a note you were playing. We didn't have the sound systems you have today. I mean we didn't even have monitors so you could hear yourself back then. I remember seeing The Beatles at Comiskey Park in Chicago the summer of '65 and their sound system was just horrible. It was...oh, I used to know the name of the system they used...but it was by no means capable of getting above the screams. I never heard one song that whole concert. It was that way with us, too. And the girls could be pretty aggressive. I remember one time looking over to my left and Nick Fortuna was being dragged off the stage by like...three girls and they tore the sleeve off of his coat. Casey Chambers: That's rock-n-roll for ya. Carl Giammarese: Yeah, it was like "A Hard Day's Night" for quite awhile. I remember once being scared to death. We were in New York City doing a promotion at a record store in Manhattan and these girls went absolutely nuts. We went tearing down the street and had to cut into a store and talk the owner into locking the door while they were pounding on it. Like I said, it was like "A Hard Day's Night." It was crazy. Casey Chambers: It sounds like some crazy great times. And The Buckinghams are still working stages hard. And you're gonna be out this way pretty soon, right? Carl Giammarese: Yeah, we're going to be in Kansas on New Years Eve at the Kansas Star Casino. Come on out and join us. I think it's a fairly early show. We've got a date there and then we've gotta be in Vegas for a show on New Years Day. Casey Chambers: That's gonna be a blast. Carl, I'd like to thank you again for all the great music and sharing all these wonderful memories. Carl Giammarese: You're welcome. Thank you, Casey and take care.